In honor of Memorial Day I wanted to post something appropriate for the holiday. This photo is of my grandmother and great-grandmother. 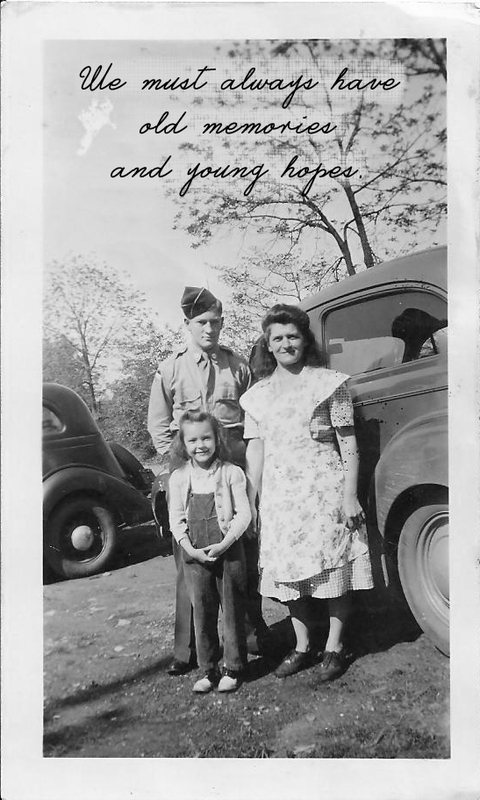 I'm doing some family research to try and identify the young man in uniform. Thank you to all the men and women who have displayed honor and courage and given the ultimate sacrifice for their country. And thank you to all those who have served and serve now, many of whom I am lucky enough to count as friends.